The new race would start from Annecy in the 16th of July, while the male cyclists competiting in the Tour de France are resting in the same city. The whole caravan would be there, with journalists and media, so it would turn a day without racing into an exciting one, with the opening time trial that would keep the afternoon “busy” for the fans. The day after it would be time for the mountains and I didn’t change anything from the actual La Course 2018, just that it would become a stage instead of a classic and with already some gaps between the riders, with the pure climbers forced to attack immediately. At last, the third stage would start in Albertville, as the Tour (so with all the facilities already in place), with 10 laps of a hilly circuit around the city. I kept the women’s race closely tied to the men’s Tour the France so that it would be as easy as possible to organize and, as you can see, it wouldn’t take a big effort. A flat time trial to give the start to the race, near Lake Annecy. The riders will face 20 km with long straights, to open some nice gaps between the specialists and the pure climbers and push the latter to attack on the climbs in the next two days. The stage will take place in Annecy during the rest day of the Tour de France, with the start in front of Le Palais de l’Île and the finish in the parking of the Château, for some good views. The first road stage will track the real route of La Course 2018: I left it like that, because I think that it’s a really good stage. The lenght is good, the first kilometers aren’t flat, but with some ups and downs, and the final is really really hard. After the start, the riders will head to the first côtes of the day, the Côte de Bluffy and the Côte de Saint-Jean-de-Sixt, just a handful of kilometers from Le Grand Bornand, that will function as a warm up for the best and as launch pad for some attacks. Following the long descent, the riders will find 20 km of flat into the valley, before the highlight of the day: the Romme-Colombière duo. 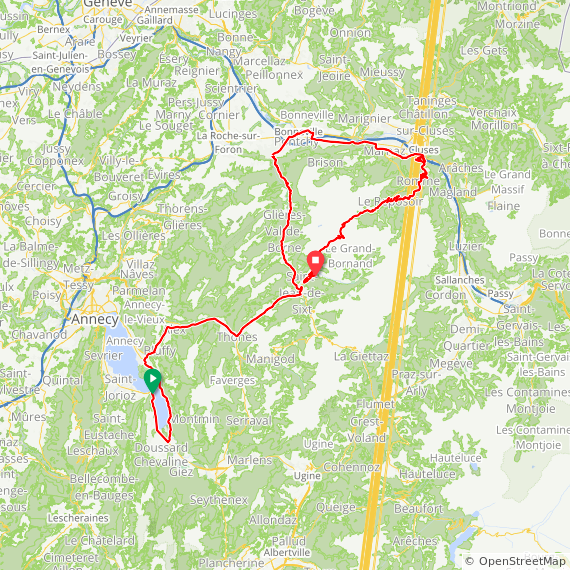 Two very hard mountains, long and steep, that, combined, form a 16 km challenge at almost 9%, divided by a 5 km descent, a real challenge for the best in the world. There will be a huge selection, with riders all over the road. 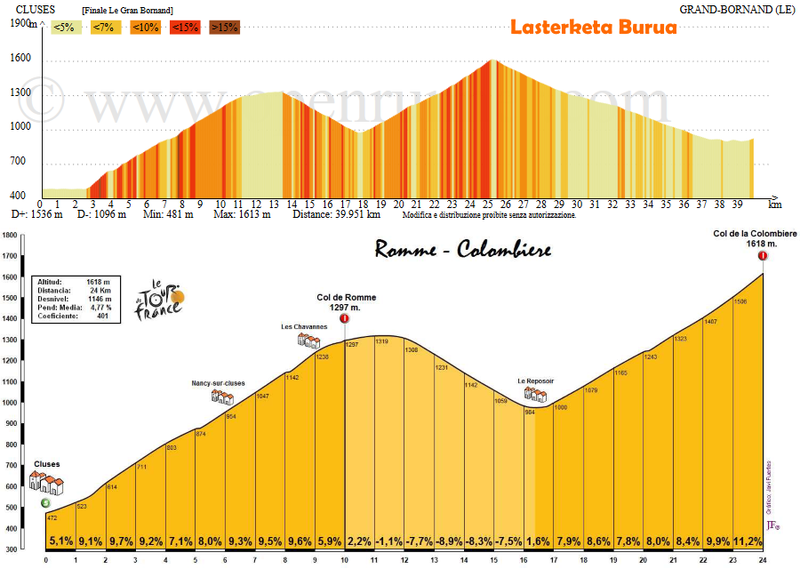 A fast and technical descent will bring them to Le Grand Bornand, with its short uphill finish. The last day will be spent in Albertville, start and finish of the third stage. Ten laps of a hilly circuit, World Championships-like, with a 4.4 km climb divided in two shorter ramps, the first one steeper than the latter. 140 km with more than 2500 m of elevetion gain, so a very interesting and nervous day, that will mantain the battle for the GC open, with some interesting tactical games possible for the teams involved in the fight for the stage and overall win. As you can see, it would be all but an impossible task to organize an intriguing three-stage race, that could be a possible basis for a bigger project, the much needed second GT of the women’s calendar. Let’s hope that ASO will try something like this for 2019.